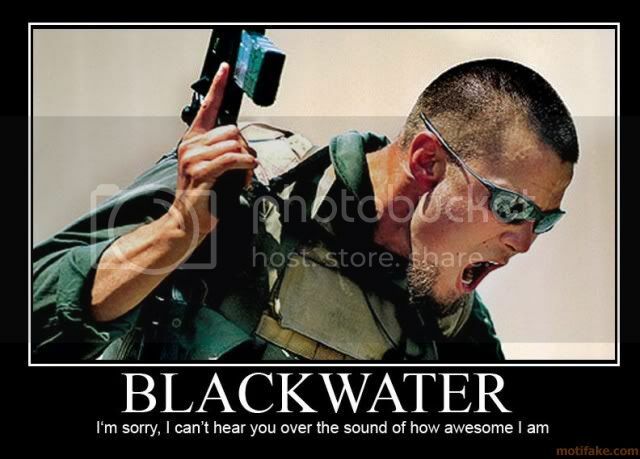 News of the contract unleashed a furious response from lawmakers this week outraged by new government deals with the renamed Xe Services despite Blackwater's murky history of killing civilians in Iraq. The firm was thrown into the spotlight after five of its guards were accused of killing 17 unarmed Iraqis in a gun and grenade attack, and wounding some two dozen others during a September 2007 incident at the busy Nisur Square in Baghdad. Mr Panetta defended the choice, saying the company's bid was $26 million less than its nearest rival. "I have to tell you that in the war zone, we continue to have needs for security. You've got a lot of forward bases. We've got a lot of attacks on some of these bases. We've got to have security," Mr Panetta told ABC television's "This Week." "Unfortunately, there are a few companies that provide that kind of security. The State Department relies on them, we rely on them to a certain extent." Two other security contractors, Triple Canopy and DynCorp International, are said to have put in losing bids for the Central Intelligence Agency's business. Xe "provided a bid that... underbid everyone else by about 26 million dollars. And a panel that we had said that they can do the job, that they have shaped up their act. So there really was not much choice but to accept that contract," Mr Panetta explained. He said he was reviewing all current CIA bids with Xe. The CIA inked the deal after the US State Department last week awarded Xe a security services contract worth some $120 million for work in Afghanistan. Under the contract, Xe will provide "protective security services" at the US consulates in Herat and Mazar-e-Sharif. The North Carolina-based firm lost its contract to provide security for US embassy diplomats in Baghdad in May 2009 after Iraqis and others repeatedly accused it of adopting a "cowboy mentality". Earlier this year, Iraq expelled 250 former employees of the security firm.